Please feel free to contact us by phone 615-636-5718 or 615-513-7273. Consultations by appointment only. Monday thru Friday 10:00 am to 7:00 pm, weekends when available. Thank you for visiting our site. We are excited about meeting with you and hearing about your wedding plans. We are honored to be a part of your wedding day and can't wait to record Your Wedding as Art. 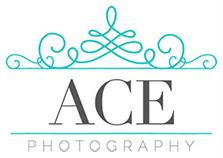 Thank you for contacting Ace Photography, we will get back to you shortly and we look forward to talking with you soon.